Gail M. Fisher , formerly a partner in the law firm Fisher & Peterson, P. L., has opened the Law Offices of Gail M. Fisher, P. L. Her practice is located in Plantation, Florida. 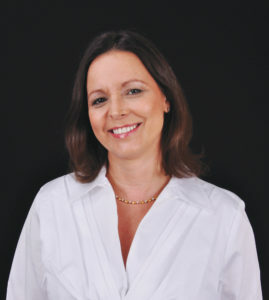 Gail is licensed to practice law in Florida and before the U. S. Supreme Court as well as the U. S. District Court, Southern District of Florida. 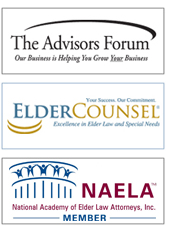 In addition, she is a member of the National Academy of Elder Law Attorneys (NAELA), Academy of Florida Elder Law Attorneys (AFELA), ElderCouncil, LLC, and The Advisor Forum LLC. Gail received a Bachelor of Science in Education from Hofstra University in New York, a Master of Science in Education Administration from Virginia Tech in Virginia and her Juris Doctorate from Nova Southeastern University, Shepard Broad Law Center, in Florida. Ms. Fisher’s practice concentrates in serving the needs of her clients and their families. Her firm provides guidance and counseling in the areas of estate planning, asset protection, Medicaid planning and qualification, Veteran’s Benefits and probate. What makes Gail Fisher so very special is her ability to listen first, think and then suggest later. Gail develops estate plans that actually work. Her plans are all custom and tailored to each individual client’s specific needs and goals.